Jacket by H&M; Crop Tank by Victoria's Secret; Shoes and bag from wholesale-dress.net. you look so damn stunning! wonderful outfit! im so in love with your bag and hair! 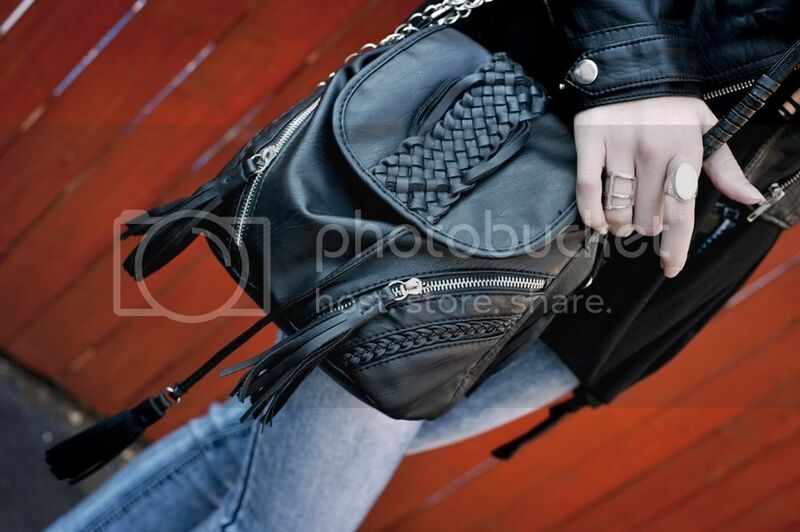 I love the woven black leather purse with the shoes and the leather jacket. Great styling. Gorgeous look, love your bag! WOW WOW WOW You look just stunning. you look awesome. I love the jacket! you look amazing in those jeans. beautiful girl! 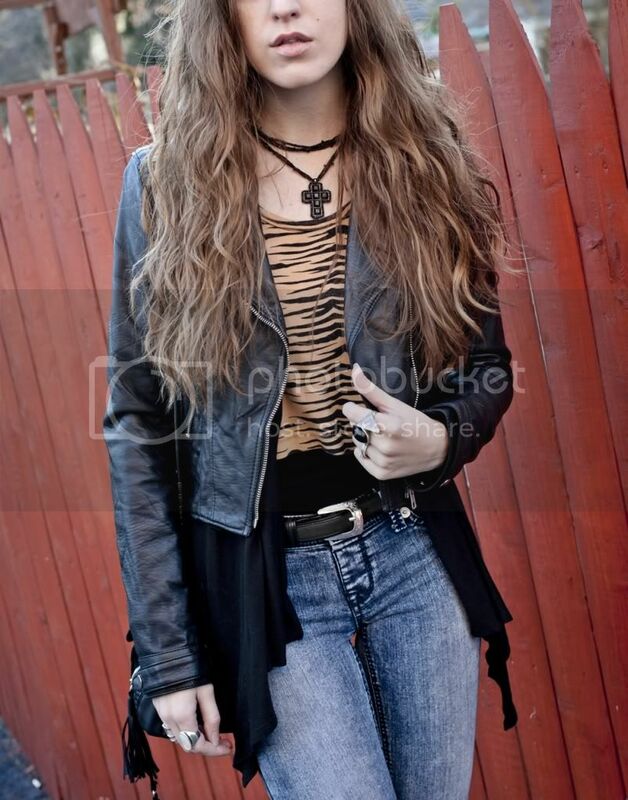 you have awesome style.. and your blog is amazing.. 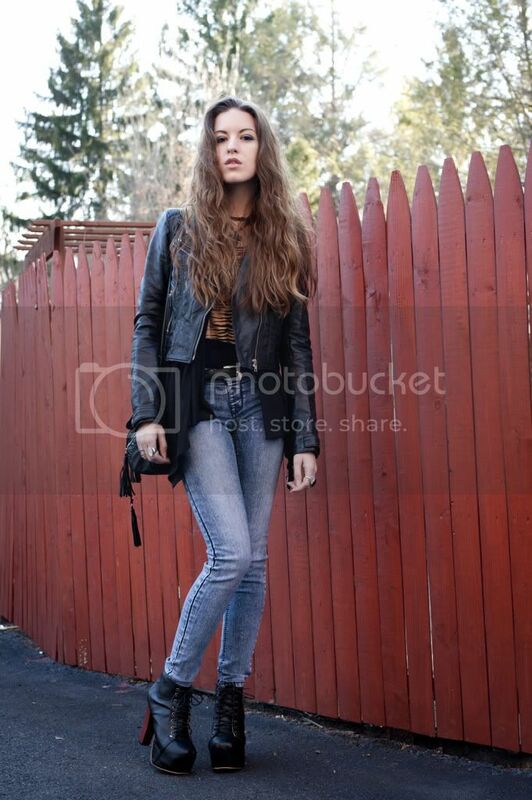 I'm definitely following you on BlogLovin..
what a great outfit, you are so stylish! Could you tell me if the heel from the shoe is wooden? I m thinking of buying the same ones from wholesale,and I d love your opinion since you've purchased them already.Also do you mind telling me whether they are comfortable or not? You really get what you pay for with this site. I think most of their products are great to use a few times, but they're pretty cheaply made, so they don't last very long. The purse in this post, for example, looks great but after a few weeks of wearing it, the metal clip on one side of the strap broke off. As for the shoes, no, the heel is not wooden, which I was pretty disappointed about. It's a smooth surface, slightly reddish brown, and it looks like it might be made of plastic. And I'm not going to be much help as far as comfort goes, as I haven't worn them for more than 20 minutes to take these photos! Also, I think faux suede tends to look a lot better than faux leather, so if you do decide to purchase the shoes, I'd suggest going with black on black option here. Yes it did help a lot,thank you. One last thing, did you order the ones with the wooden heel but got the ones with the plastic,or did you just order the one with the plastic one? I mean,was the order different? Interesting bag. But the shoes is not my stile.